The Users page is the all-in-one tool for managing your team. Add as many users to your account as you like using the "Add new users" button. Then, you can add them to your projects using the same window. 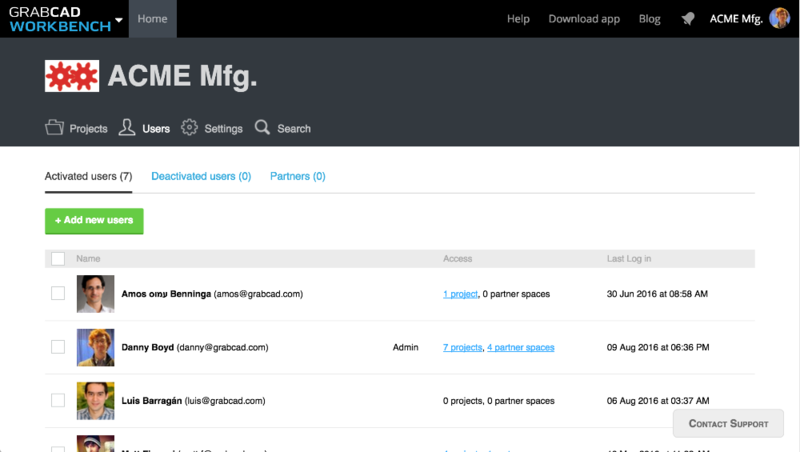 If all of a user's project roles are Partner, they will appear under the Partners tab. Users you deactivate will appear under the Deactivated users tab. All other users will appear under the Activated users tab. Read here to learn more about user roles. Use the checkbox to the left of each user to add them to projects. You can also give someone admin privileges, deactivate them, or remove them from the account entirely. 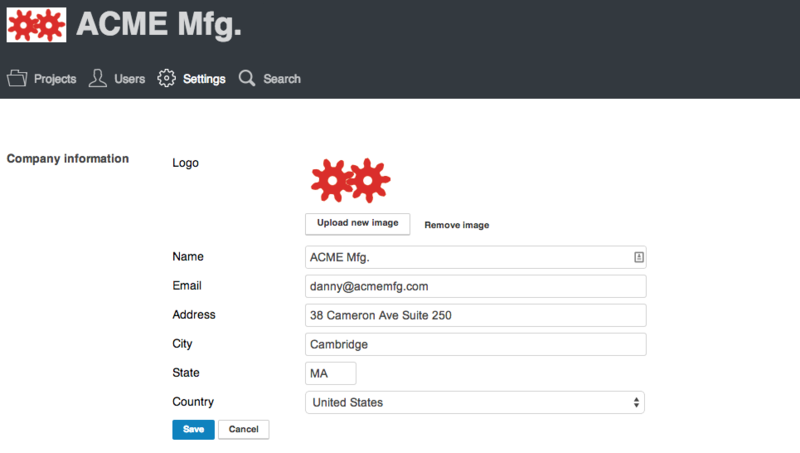 You can edit the information about your company, which is visible only to the users on your account.